At least once a month I like to have a get together with Lisa and Kayleigh, my oldest friends in Newcastle. It's tradition that we meet up over a fine spread of food and, knowing that I always have so many places to tick off my never ending list, I'm usually allowed to choose where we head. 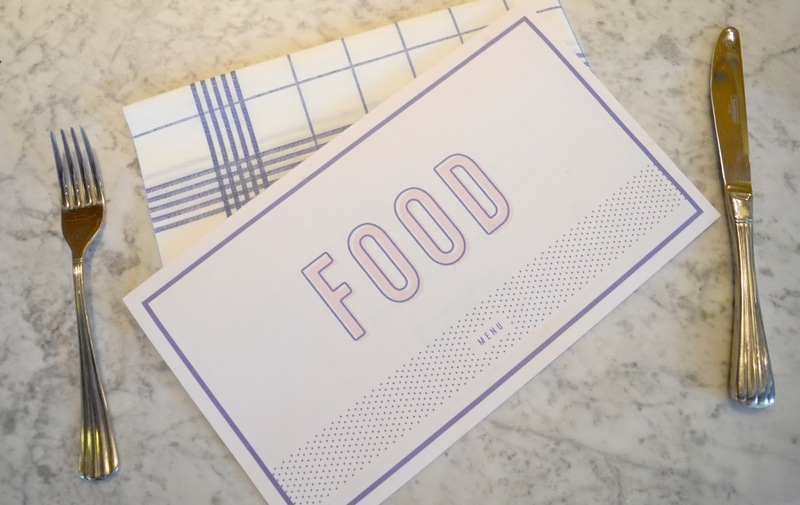 For our last meet up we decided to check out one of the newest restaurants in Newcastle, Central Oven and Shaker - and I couldn't resist doing a little menu review whilst I was there! Central Oven and Shaker opened in Newcastle at the end of last year, with a prime spot opposite Central Station. It promises authentic Neapolitan style pizzas and fabulously fun cocktails - well, you don't need much more than that to get me through a door! Newcastle does pizza really well with many beautiful independents favoured by locals in the know - we have the fantastic Cal's Own in Jesmond and Pizza by the Slice in the Grainger Market to name just a few, so I was interested to see how Central Oven and Shaker would compare. Perfectly timed a couple of days after "National Pizza Day" (who comes up with these things?!) I couldn't wait to get stuck in. Having battled a pretty wet and miserable day we were in the mood for a long leisurely lunch with a few cocktails to warm ourselves up. We were particularly excited by the "Sweet Shop" section of the menu that promised us childhood favourites in alcohol form. 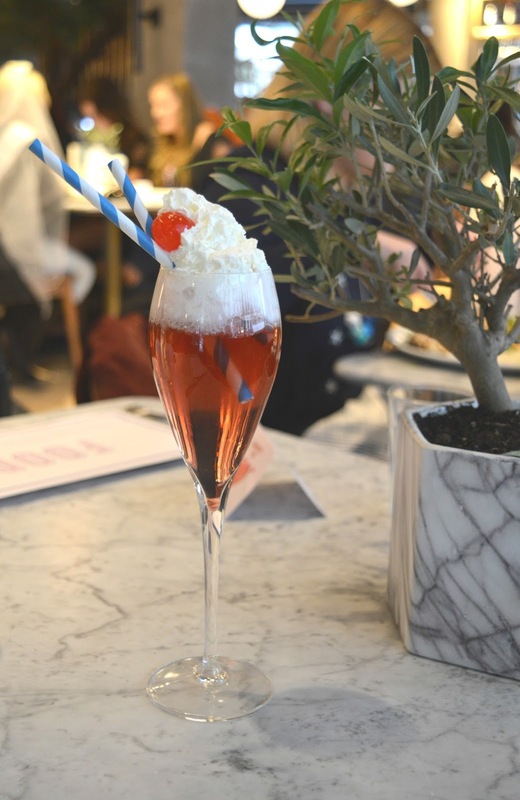 I went for the Italian Cream Soda (£7.50) - Luxardo Cherry, Vanilla Stoli, Gomme, Cream Soda, Single Cream. It looked beautiful and tasted delicious however I have a huge pet hate for stripy paper straws (just me?). Whilst they look so pretty in photographs it doesn't take long for them to get soggy. Why has no one invented normal stripy straws yet? 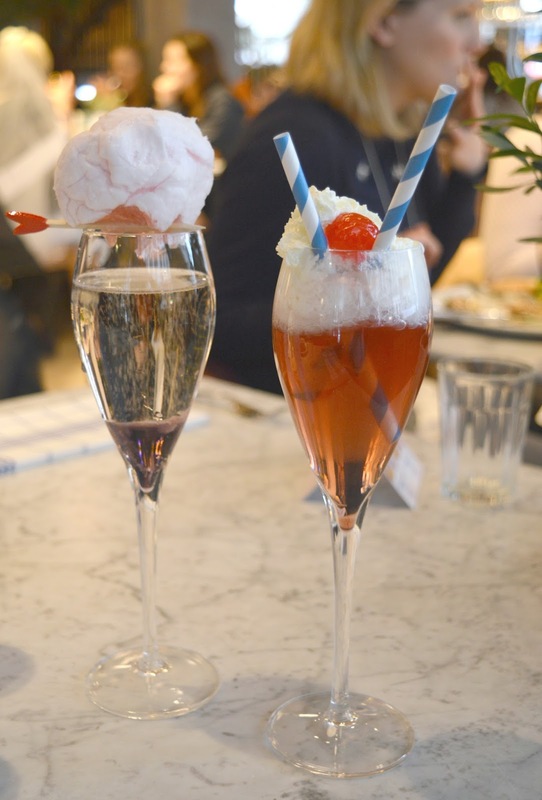 Lisa opted for the Floss Me (£7.00) - Prosecco, Parma Violet Syrup served with Pink Candy Floss. I was so tempted by this just for the candy floss but unfortunately hate Parma Violets so knew it'd be wasted on me. 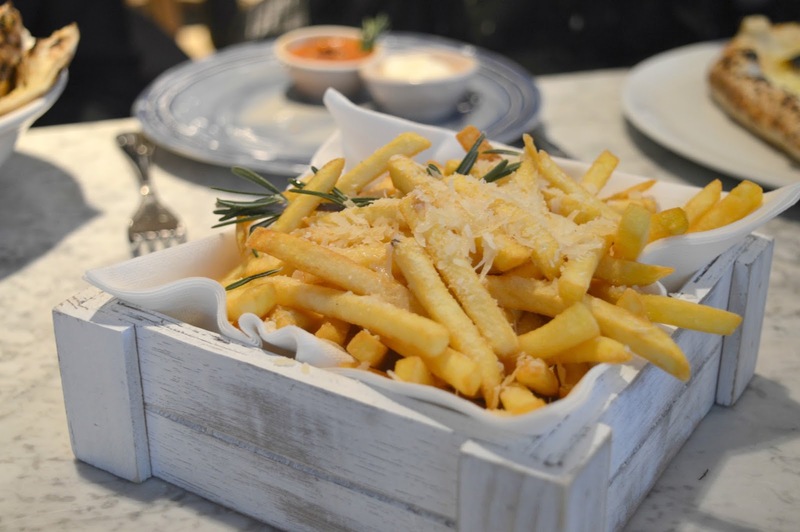 When it comes to the food menu it's important to know that if you're visiting Central Oven and Shaker and you don't like pizza it's probably not worth bothering. The menu more or less consists of pizza, pizza and more pizza. There are a handful of starters and sides, and Lisa and Kayleigh ordered the Central Fries (£3.75), Garlic Bread (£3.50) and the Clean and Green Salad (£8.00) but were left disappointed. Central really is all about the pizza! There was no way I was going to make a visit to Central Oven and Shaker without ordering a pizza. All pizzas at Central are served on a 12 inch sourdough base with homemade Central San Marzano tomato sauce. There was plenty of choice on the menu including a special that our waitress told us about as we sat down. 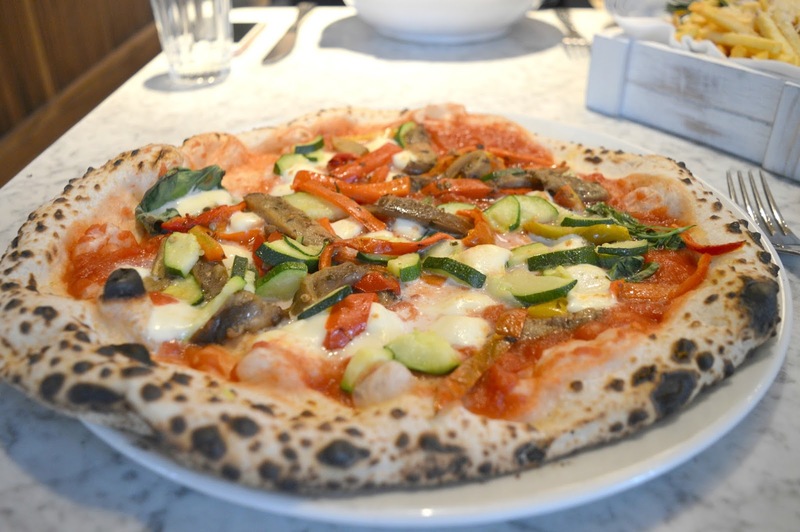 I decided to go veggie for this trip and ordered a Roast Veg Pizza (£9.50) - Yellow, green and red peppers, courgette, aubergine, basil and fior de latte cheese. Pizzas really are the winner at Central and I was so happy that I'd decided to order one. My pizza was so huge it was falling off the side of the plate, the toppings were plentiful, the cheese was indulgently stringy and that base! Wow! A beautiful soft base with slightly charred edges, my idea of pizza heaven! When it came to ordering dessert we all had our greedy eyes on the Macaroon Ice Cream Sandwich that we all agreed sounded really lovely. Unfortunately they were all out. 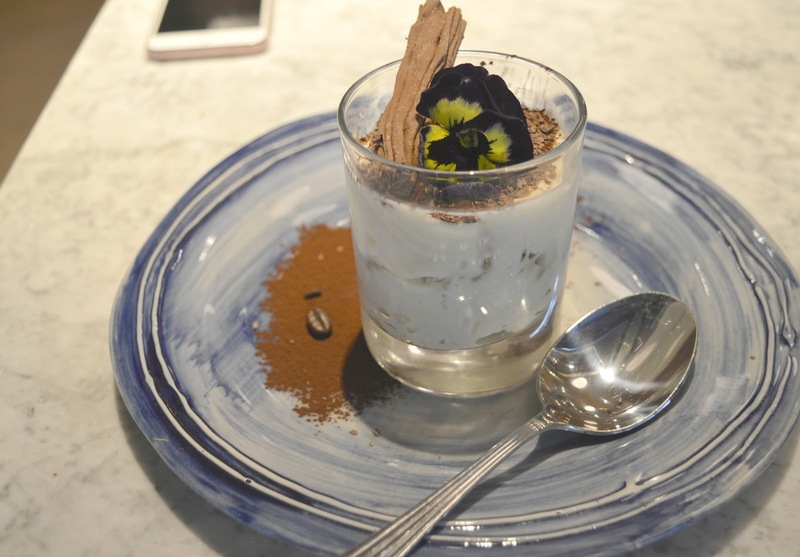 Nothing else on the menu really caught my eye but by this point I'd already told my tummy it was getting dessert so I decided to order the Tiramisu (£5.00) - traditional Italian dessert made with mascarpone, Amaretto, spongy biscuit, espresso, cocoa and chocolate. My dessert was tasty (and certainly looked the part) but was nothing to write home about, confirming to me that Central really is all about the pizza! I enjoyed my first experience of Central Oven and Shaker and whilst I don't think it's stealing Newcastle's pizza crown I will most certainly return, but probably only to indulge in the pizza menu. Let me know your thoughts if you've been! I'll keep my eyes peeled for this place when I'm next in the centre. I must have been past dozens of times but have not yet spotted it. The pizza looks lovely. It's directly opposite Central Station, have a good look next time you're in the area and you're bound to spot it! I think the kids would love it here and it's a nice place to meet if you're catching a train somewhere. They seem to have some decent deals too. I will be returning for that pizza! Keep meaning to try here, only ever been for a drink but the pizzas sound pretty good! How did you manage to resist the pizza?!! Urgh I'm totally with you on the soggy paper straws, yuk!